we are a diverse, body positive, LGBTQIA inclusive brand. I am the founder of wbco. Tattoo Aftercare/Tattoo Sponge, Karen, and I wanted to write this open letter blog post about the why I started this brand and what I want to achieve overall through the brand. My background is very diverse - my formal background is in art, design and architecture, and it also includes marketing and communications for public companies. Most recently, in the past 7 years I worked within the beauty industry hosting events and part of the beauty media, and I was also the VP/Creative Director of a Canadian beauty brand for a few years. I am also a single women in her late 30's and a woman of colour - I am 100% filipino, born in Manila Philippines, and raised in small town Ontario (aka a very wasp-y town, predominantly middle-class caucasian), and have lived in Toronto, a very diverse urban city, since I was 19. And although I love the beauty space, I, like many other people out there, have noticed the under-representation of people of colour, different body types and members of the LGBTQIA (LGBTQIA: Lesbian, Gay, Bisexual, Transgender, Queer or Questioning, Intersex, and Asexual or Allied) community in the beauty, fashion, personal care, grooming and tattoo industry. I won't go into the nitty gritty details of the 'white-washing' and 'ideal body-type' things that happen within these industries as a whole and as a former beauty industry insider, because I am sure all of you are aware about the backlash, boycotting and misrepresentation of people of colour, different body types and sexual orientation, but I knew that any brand that I started HAD TO be: DIVERSE, BODY POSITIVE + INCLUSIVE to everyone. Tattoos are such a personal and artistic expression on one's body, and you cannot pinpoint the 'type' of person that has tattoos anymore in 2018. We all have them. We all want to show them off. I noticed, even within the Tattoo industry, there was still an under-representation of marketing, tattoo artists, inked models and industry magazine spreads that focus on people of colour and with different body types. Although the landscape is changing from the antiquated typical 'caucasian, biker, skater, sailor jerry' tattoo culture, there is always room to represent MORE - of who we are, our stories, and what relates to the rest of us. That's why, with the wbco. brand, I wanted to make sure our content was a diverse cross-section of different races, body types and sexual orientations, as well as different social cultures outside the typical. Tattooed people are beautiful - we are athletes, we are chefs, we are teachers, we are single parents, we are students, we are indigenous, we are artists, we are immigrants, we are plus-size models, we are entrepreneurs, we are trans, we are bookworms, we are non-binary, we are urban organic farmers and most of all, badass. 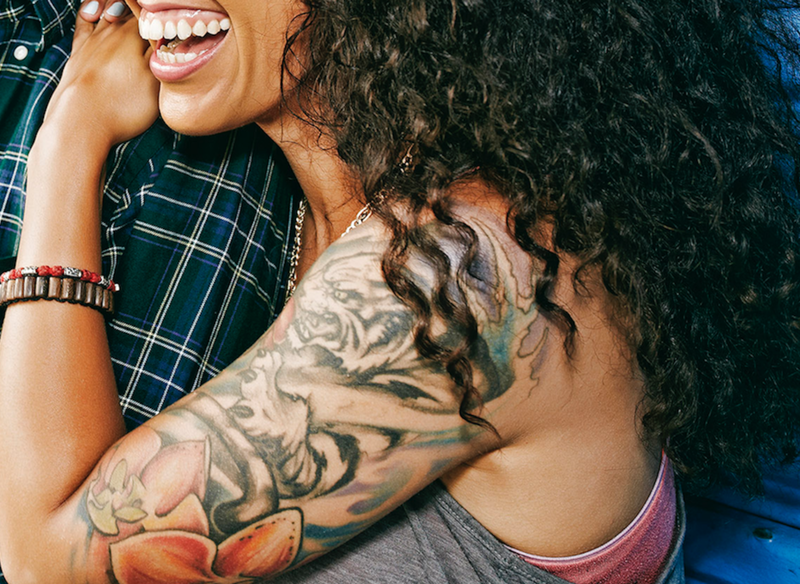 We all have stories behind our ink - so let's show it off! I am still working on creating MORE content (as I am currently a one-woman show trying to finance this on her own, and I won't front that the brand is bigger than it is - cause let's be real... entrepreneurship is hard AF and it's better to be real + transparent with your audience) on our social media feeds, our new YouTube/IGTV channel and in our overall marketing. I WANT to connect with people of colour in the Tattoo industry, and I WANT to showcase all-body types with our Brand Ambassadors, and I WANT to know the stories behind the ink of the LGBTQIA community and feature it on the blog. I have been actively and purposefully reaching out to a diverse range of influencers, feature more of an urban-city lifestyle vibe with our content, and currently have a diverse group of brand ambassadors. we never judge - so let's help each other and create something DOPE, DIVERSE + INCLUSIVE together! *if there are any artists, models, or dope people with ink out there that want to collab and vibe with our mantra of INCLUSIVITY + DIVERSITY...holla.